There are more than 400 million uses of DEET annually every year in the U.S. Worldwide, there are billions of uses each year. 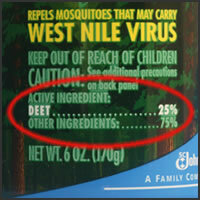 Scientists have studied DEET extensively starting even before its introduction to the U.S. consumer market in 1957. No other personal insect repellent has been studied and tested as rigorously and extensively as DEET. Today, it is still the “gold standard” for efficacy in repelling biting insects and ticks. Most people looking for DEET information on the Web have heard non-specific rumors that DEET-based repellents are “dangerous.” If that is why you are on our site, take comfort In knowing that scientists have found no direct link between DEET-based repellents and significant long-term health effects when products are used according to directions on the label. The American Academy of Pediatrics (AAP) and others have reviewed all of the science…and there is a lot of it. The AAP says that children as young as two months can use DEET-based products in concentrations up to 30%. For those headed overseas where malaria and dengue are endemic, higher concentrations can be used. 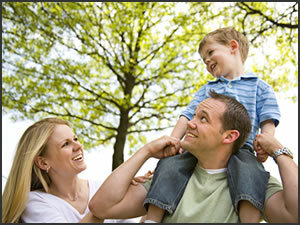 DEET-based repellents can be used on children as young as two months old in concentrations up to 30%. Always use a concentration that is suited for the length of time you will be outside. For a 90-minute barbecue, use a 7-10% concentration product. 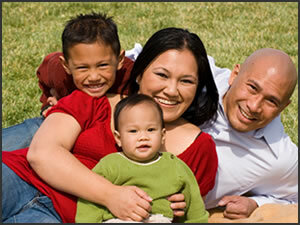 For family camping trips, use the higher concentrations because they offer longer protection times. DEET and other ingredients (alcohol, for example) found in many repellent formulations will sting the eyes. Click here to learn proper application. Skin rashes have been reported very rarely and are thought to be related more to other ingredients than they are to DEET. Washing with cold water takes care of both. Follow-up studies show there is no relationship between the DEET concentration in a product or an individual’s age and the incidence of skin rash. For more facts on DEET, you can visit www.deetonline.org. The amount of DEET (the active ingredient) in a repellent product. The higher the concentration, the longer the repellent will work to ward off mosquitoes and other insects. A 7% concentration provides protection from bites for about 90 minutes. A 100% product will last from 10-12 hours, depending on a wide range of variables. These include whether you are perspiring, the types of mosquitoes in the area, the time of day, and other considerations. For ticks, a minimum 20% concentration is needed. Products formulated to discourage biting insects and ticks from biting. These products are smoothed on the skin and sometimes sprayed on clothing to ward off the insects. A product sprayed in the air or on a surface to kill flying and crawling insects. DEET is NOT used in these products. It does not kill insects or ticks.